Everyone needs to eat three meals a day for the rest of their life. This is more or less how I got interested in cooking in the first place; I have always been a huge fan of eating. This might sound ridiculous, but I think I am addicted to food. Ask anyone who knows me; I'll be planning dinner first thing in the morning, and thinking about tomorrow's breakfast as soon as that dinner is finished. I believe everyone should learn not just how to cook, but learn how to love to cook. Using me as an example (I'm twenty-one), assuming I live to the ripe age of eighty-two, eating three meals a day, that's 66,795 bad experiences I would have had if I didn't know how to cook. And yes, I'm a bit of a nerd. Since becoming runner-up of the 2010 Masterchef, I have had my hands full! I have spent my time working and learning in some of Australia's best kitchens, including The Press Club, Maha, Hellenic Republic, and PM24. I have also toured Australian universities teaching students how to cook and eat well. 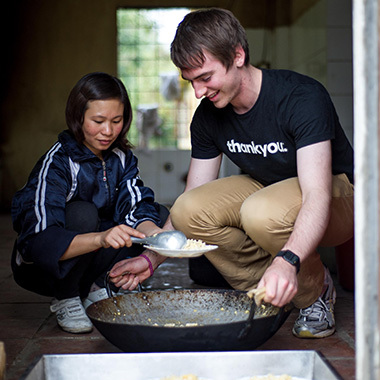 I loved teaching students and saw huge potential to continue to educate, and hopefully inspire people to cook. 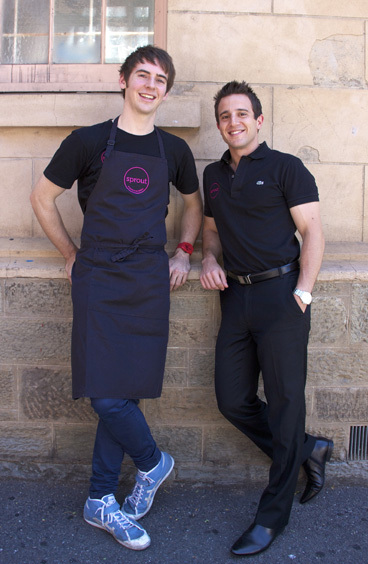 In 2011 I started my own cooking school in Adelaide, Sprout Cooking with dietitian Themis Chryssidis, which continues to grow. Between Sprout classes I work with the Adelaide Produce Market community, Wesley Mission’s Food For Families Appeal, Chef de Quota, the Thankyou™ team, Jamie Oliver’s Home Cooking Skills and SA Life. I was also fortunate to win $20,000 for the Cancer Council by taking out the Masterchef Allstars title. 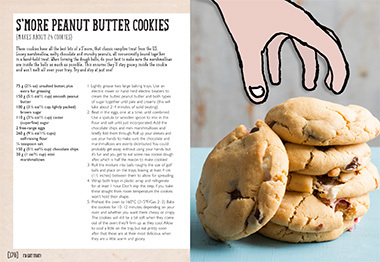 After fulfilling a lifelong dream of writing my first cookbook: The Starter Kitchen, I was lucky enough to publish a second book, I’d Eat That! Finally, my philosophy is that food should be simple, seasonal, and fresh. 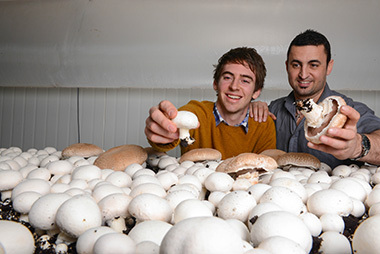 The first cooking class conducted by Callum Hann and Themis Chryssidis at their cooking school, Sprout, was called 'Quick, Easy & Healthy', and to this day it remains their most popular course. Why? Because it is what so many of us want and, in fact, need: healthy food for ourselves and our families with minimal effort - good food, every day. In Quick. Easy. Healthy. 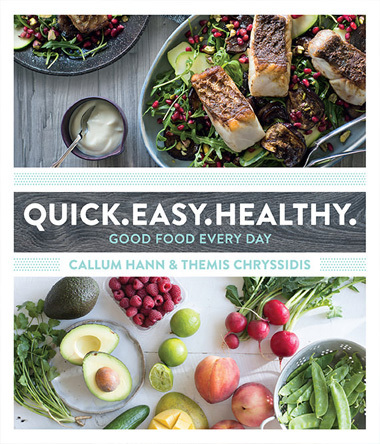 Callum and Themis present 70+ simple, quick and convenient recipes for fresh, healthy, flavoursome food. Dishes that use easy to find, seasonal ingredients, that represent good value for money, and that require minimal preparation and clean-up time. 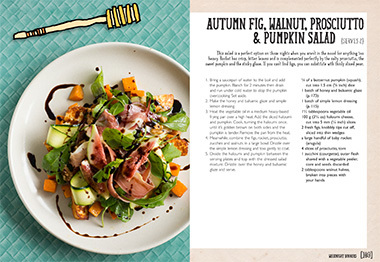 Every recipe includes a nutrition information panel so you know exactly what you're eating, and the book is divided into four seasonal chapters, each with a collection of recipes that use readily available ingredients that are in season and at their best, with suggestions for variations and substitute ingredients. Quick. Easy. Healthy. is available in bookstores across Australia, New Zealand and the UK, and online. I’d Eat That! 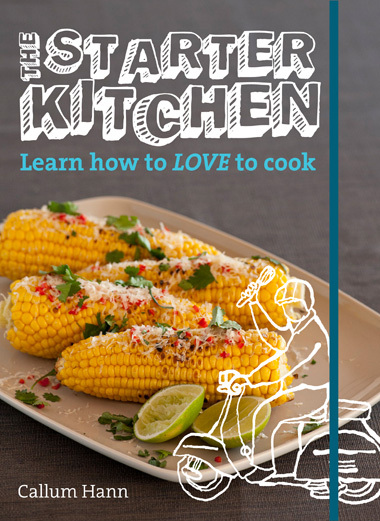 is a follow up to my first book The Starter Kitchen. I’ve filled it with a collection of recipes and sound advice that will give novice foodies the skills and the enthusiasm to become better, more knowledgeable, happier cooks. 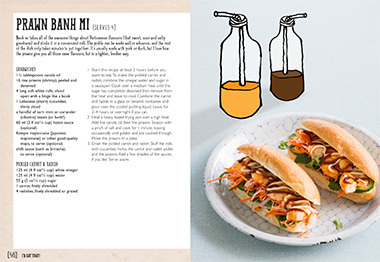 In addition to over 90 fast, fresh and simple recipes there is a wealth of information on cooking fundamentals, ranging from a guide to flavour combinations and advice on choosing the right restaurant --as well as tips for entertaining at home-- through to techniques for preparing perfect seafood and buying and preparing seasonal ingredients. 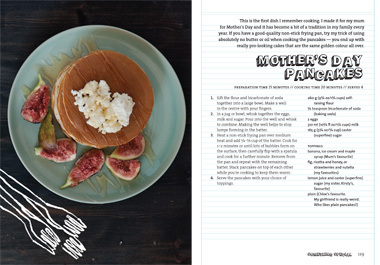 Recipes cover delicious breakfasts and brunches (maple bacon, asparagus, smashed avocado & feta on toast), things you can eat with your hands (spicy chicken tacos with apple & cabbage salsa), super quick meals (baked mac 'n' cheese with rosemary breadcrumbs), weeknight dinners, salads, food to impress a date (spice-crusted pork loin with apple cider glaze & figs; cherry fool) and essential rubs, dips, sauces and dressings. 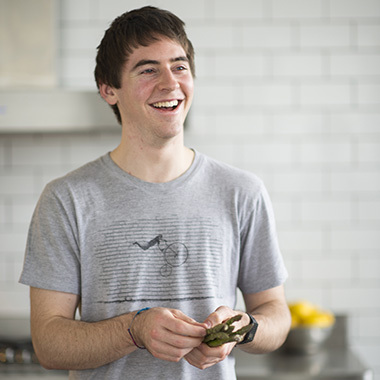 Callum Hann presents an easy, uncluttered approach to understanding the basics of setting up a kitchen and developing key cooking skills. He provides useful and accessible information about purchasing fresh produce, buying and using the right equipment and shopping on a budget. 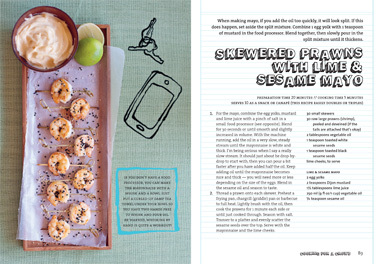 The Starter Kitchen features over 60 simple, casual and fun recipes, using ingredients readily available in the supermarket. 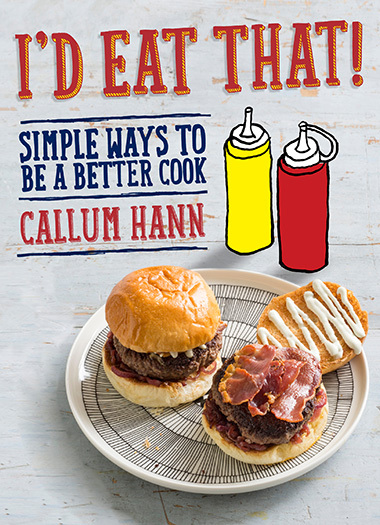 As well as everyday meals, Callum offers suggestions for menu ideas for occasions such as such having friends over to watch the football, your first ever dinner party, and cooking to impress. Sprout cooking classes are a joint initiative between myself and accredited practicing dietitian, Themis Chryssidis, based on the idea that everyone can and should cook. The idea of Sprout is to show people how easy it is to cook realistic meals that fit into their lifestyles. What I love about Sprout is that you won't have to trek up to the Himalayas to find the ingredients, and the classes are 100% hands on, so you learn by doing, not just by watching. My favourite part of the class is sitting down at the end and having a meal, a chat, and a glass of wine with the people who come along. It's very rewarding to see people going home with new skills (and leftover dessert!) and an enthusiasm that only comes from having fun in the kitchen. I love food and I’m passionate about taste and quality, so I was stoked to become the Chief Taste Officer for Thankyou™. It has to be the coolest job title in the world! I joined the Thankyou™ team for the opportunity to help people gain access to food - an everyday necessity that us Aussies often take for granted. I’ve worked hard to make sure you love the product as much as the Thankyou™ team and I do! The Thankyou™ team and I think that changing the world should leave a good taste in your mouth! Check out the video of the journey we took to get this range off the ground. I am proud to be the ambassador for Wesley Mission Victoria’s Food For Families appeal. Each year, Wesley holds this iconic Melbourne appeal to collect non-perishable food, toiletries, and monetary donations to support people who are homeless or at risk of homelessness. Join me in supporting this great cause and donate at your participating Woolworths or IGA store. 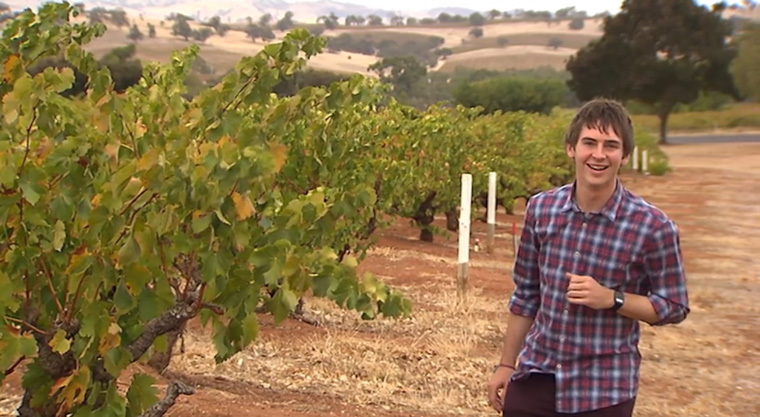 I joined the SA Life team in 2013 where I get to travel through South Australia and get a behind the scenes look at some of the best producers in the state. Being passionate about good local produce, I really enjoy this role (and trying the food along the way isn’t bad either! ).